Starbucks does not appear to be treating the Philadelphia incident as an isolated one, and thus, are taking the stance that every employee must participate in the training. As a social psychologist, I know how hard it is to do unconscious bias training well. After all, we do not yet have the research-based “solution” everyone is always asking for. So when Starbucks decided to close 8000 stores for unconscious bias training of almost 175,000 employees, I had a lot of questions. Last month’s incident when a store manager at a Philadelphia Starbucks engaged law enforcement because two African-American men asked to use the restroom while waiting for a friend’s arrival was the symptom of a deep set of issues in society. How would Starbucks address these issues on such a large scale in a single afternoon? In advance of the May 29 training, Starbucks released a video preview of the program, which included commentary from founder and executive chairman Howard Schultz, CEO Kevin Johnson, and chief operating officer Roz Brewer. Six things surprise me (in a good way) about that video and the Starbucks response so far. 1. They are describing this big bold action as a first step, not a last step. Closing the stores is an expensive move, with estimates of lost revenue alone of $6 million or more. But organizational scholar Katerina Bezrukova and colleagues find that one-shot training rarely leads to meaningful and persistent attitudinal or behavioral change. At best, they find, the most we can hope for in one afternoon is a cognitive change – an increase in knowledge. Diversity training’s positive effects are most likely seen when the training is part of a longer, larger initiative. The preview video suggests that Starbucks’ leadership understands this. Their approach reminds me of a Harvard Business School Publishing case I teach in my MBA leadership class about Cynthia Carroll, former CEO of global mining giant Anglo-American. Carroll stunned the company and industry with her unprecedented decision to bring every miner above ground and close down the mines after another preventable miner death. From there, she began an overhaul of the company’s safety procedures and culture. Big bold moves are good first moves, not last moves. 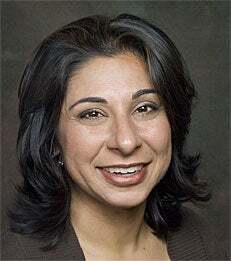 Dolly Chugh is an AssociateProfessor of Management and Organizations.